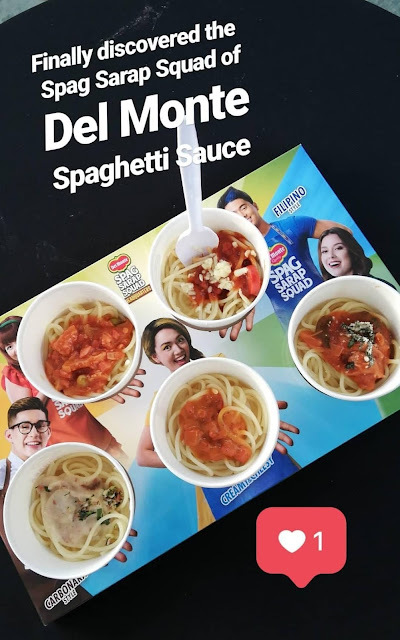 I got to try the five Del Monte Spaghetti Sauce flavors recently when I attended the Del Monte Spag Sarap Squad event at Mall of Asia. All guests—invited and walk-in MOA shoppers!—were served a cup of spaghetti for each flavor: (from top left, clockwise) Sweet, Filipino Style, Italian, Creamy & Cheesy, and Carbonara. Ang saya-saya! Anyway, at the event, my favorite sauce was the new Creamy & Cheesy flavor so on Christmas, that was the sauce I cooked for our family reunion lunch. 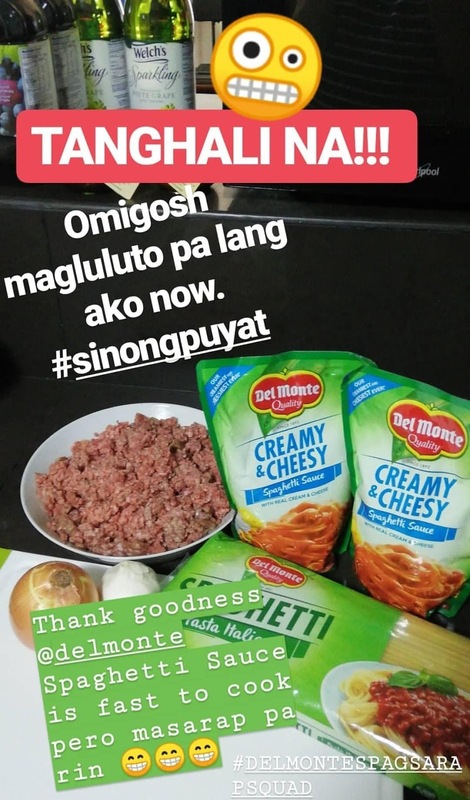 As you can see from my panicked IG Story screencap below, Del Monte Spaghetti Sauce saved the day when I cooked spaghetti at 11am and by the time my guests started arriving, may masarap na handa na ako. Plus, ubos agad ang spaghetti ko hooray! Hit na hit ang Creamy & Cheesy with my family, especially the kids, because it's sweet and a bit salty and maasim-asim nang slight. Very malasa so konti lang, sapat na. Imagine, yung two packs na yan napakain ko sa buong pamilya ko! And yes, it's really creamy and cheesy. The consistency is very thick so each sauce-drenched bite of spaghetti is punong-puno ng flavor. And yes, hindi na kailangan ng cheese! 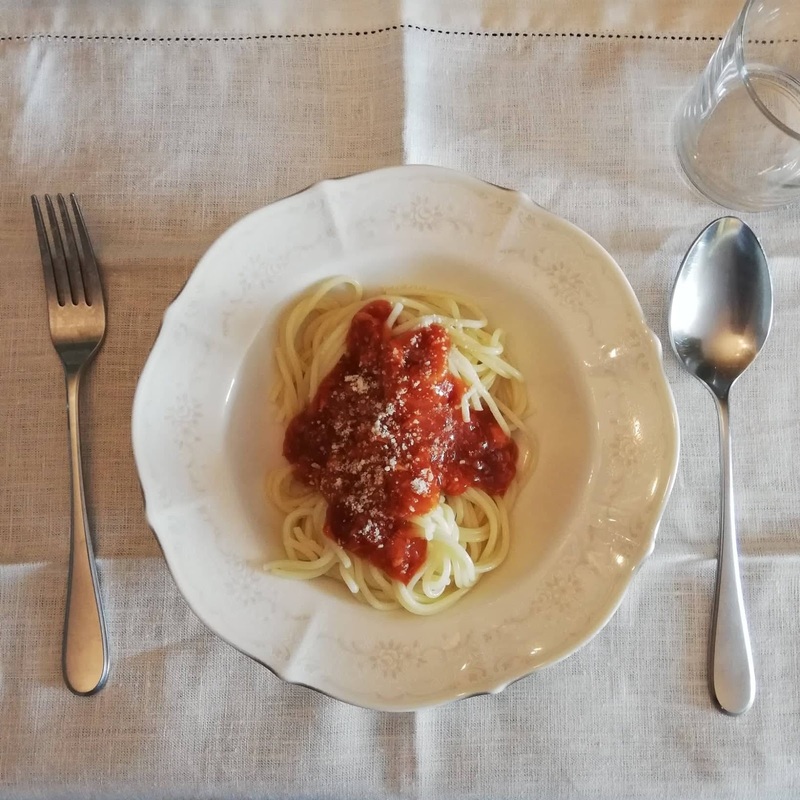 A few days later, I cooked spaghetti again. This time, I used the Italian sauce. Instantly I knew this was my favorite one! Ang sarap niya sobra. Full-bodied flavor. Smells amazing! Even my husband and boys agreed that super sarap ng Italian sauce. So I think Italian is our family's favorite flavor. Okay, to be fair to me, I used good canned tuna flakes, chopped lots of onion and garlic, and seasoned it well with salt and pepper. So pwede ring masarap lang pala ako magluto haha But even when I tasted the sauce before seasoning, masarap na talaga siya. For New Year's, I'm thinking of serving the Carbonara sauce. Tamang-tama we have lots of bacon here at home. And then when school starts again, I'll definitely cook my remaining Del Monte Spaghetti Sauces, Sweet and Filipino Style, since their sweetness is loved by my boys. Yes, the Sweet flavor is what kids love—simple and sweet sauce lang talaga. The Filipino Style is sweet also but may dagdag na meaty and cheesy taste. The Creamy & Cheesy is matamis pa rin but extra creamy and cheesy—malinamnam tuloy siya. Italian naman is infused with basil and oregano and made delectable with Parmesan cheese. All the red sauces are made with 100% naturally sweet California tomatoes. New flavor Carbonara, meanwhile, is made with real cream and milk. 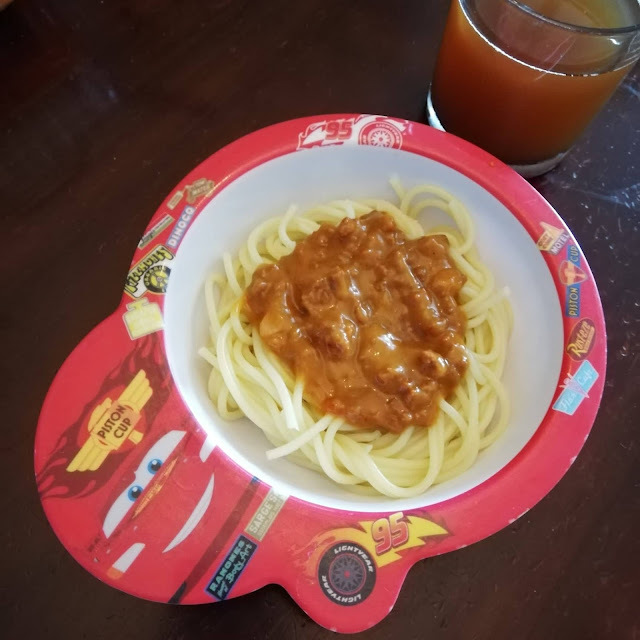 For recipes using Del Monte Spaghetti Sauce recipes, visit www.lifegetsbetter.ph. You can also find all five Del Monte Spaghetti Sauce flavors at leading supermarkets and grocery stores everywhere. Enjoy! *This post is brought to you by Del Monte Spaghetti Sauce. Our family’s favorite is Italian too, but we have yet to try the Creamy and Cheesy. For sure my eldest would love that! Parang yun Carbonara nalang ang hindi namin nasusubukan.